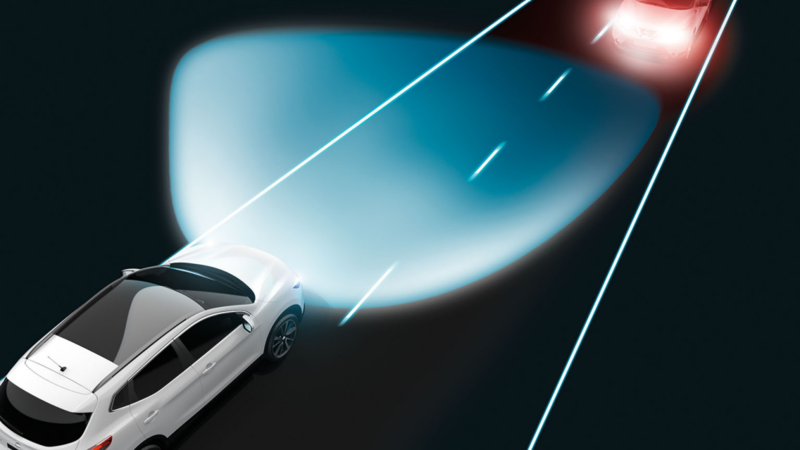 LED Daytime Running Lights make a visually brilliant impression so other drivers will see you better. 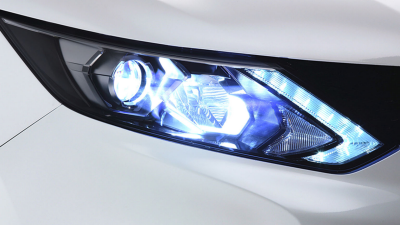 LED headlights shine a whiter, crisper light than traditional bulbs, and because they use less energy, they last even longer. 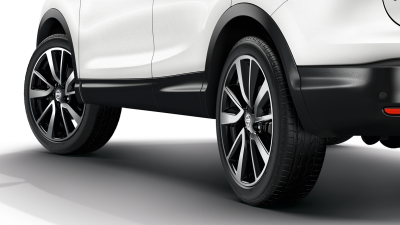 These sporting 19" split-spoke alloy wheels look as if they're moving even when they're standing still – which won't be too often. 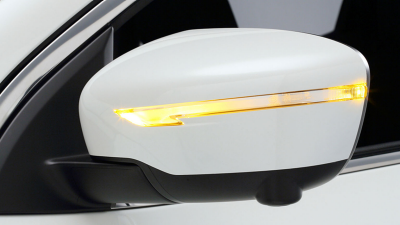 LED indicators integrated into the door mirrors make the Nissan Qashqai crossover more visible to other drivers when signalling. 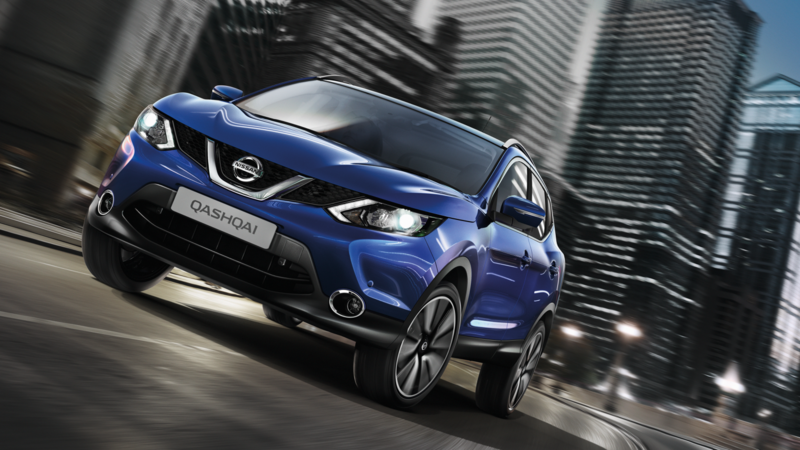 Wider, longer and lower, the Nissan Qashqai crossover has dramatic and athletic looks. 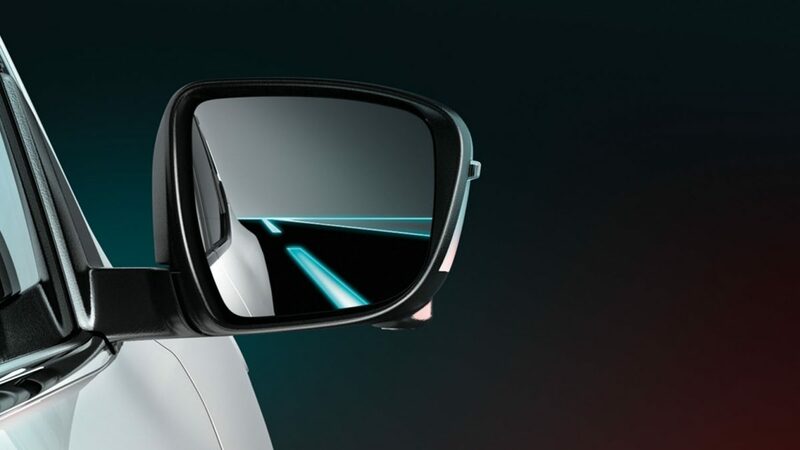 You'll see it in every detail, from the distinctive V-motion grille and 'clamshell' bonnet to the confident, sporty profile. 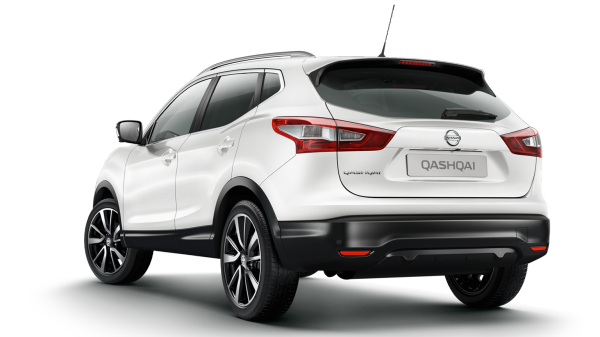 The bold, sculpted lines and the upward-flip of the rear side windows are capped off by the sporty body-coloured rear spoiler – great for the Qashqai’s aerodynamics. 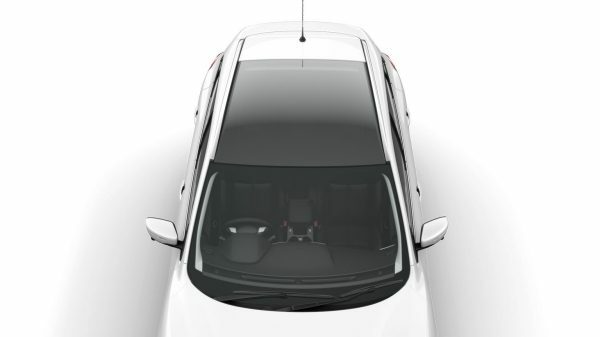 The optional panoramic glass roof makes for an airy interior and means everyone can enjoy the starry night sky. 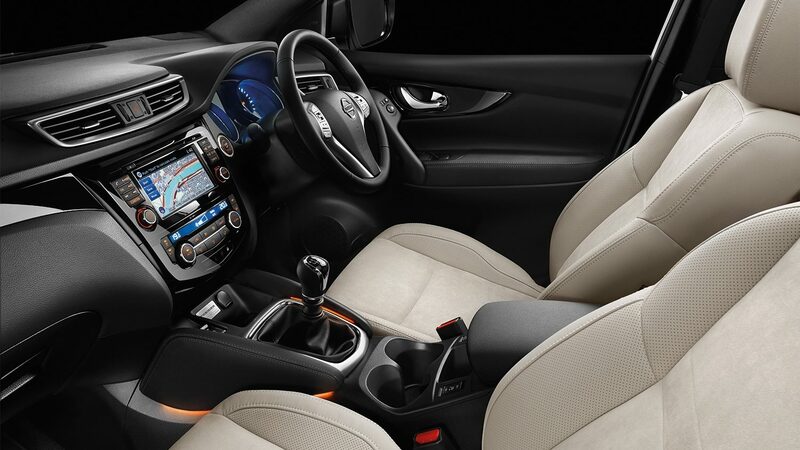 With a choice of optional premium trims including graphite leather or light grey Alcantara seating and cushioned knee pads, the crisply designed and spacious interior makes no compromises when it comes to comfort, and the innovative 7" colour touch screen gives you all the information you need. 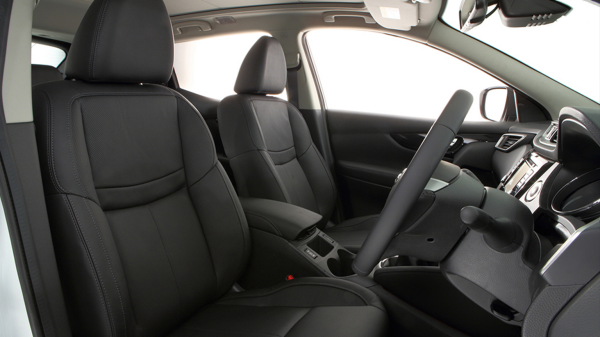 Ergonomic design and high-quality materials make for a car that’s a joy to drive and is built to last. 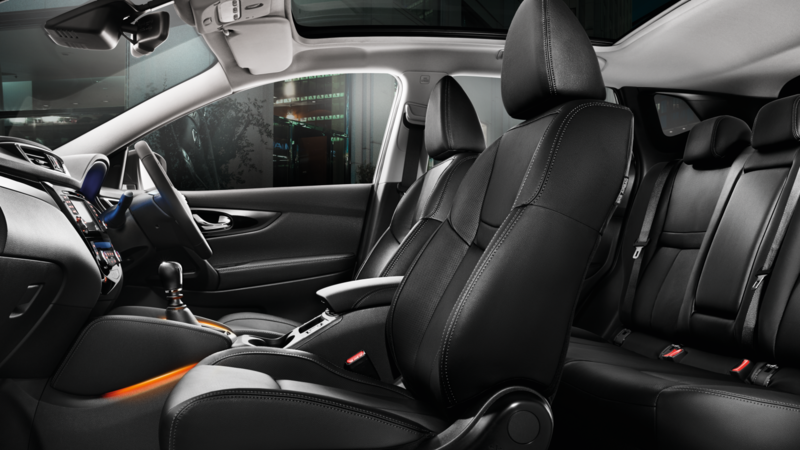 Your crossover's seats were designed with comfort in mind – inspired by the feeling of zero gravity. 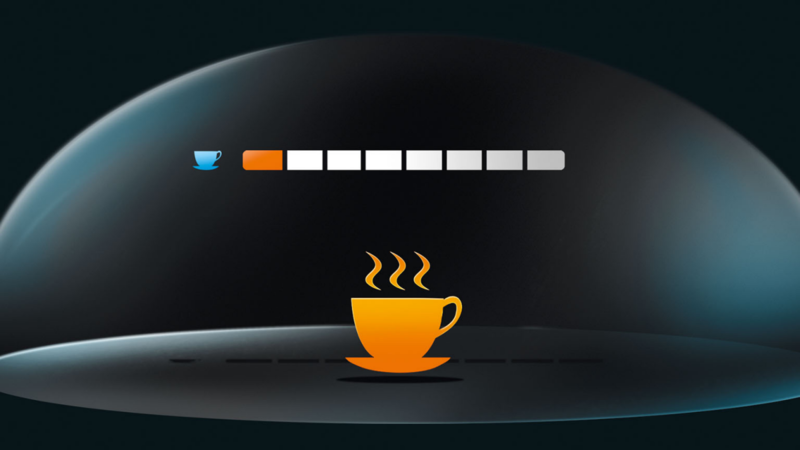 Stay relaxed and alert with support focusing on the pelvis, lumbar spine and chest, along with seat cushions that flex in response to your unique pressure points. 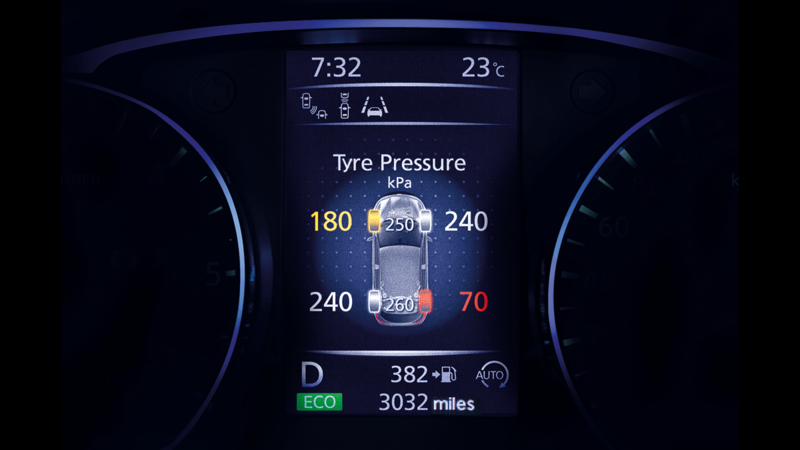 The resulting comfort helps reduce fatigue, even on the longest journeys. 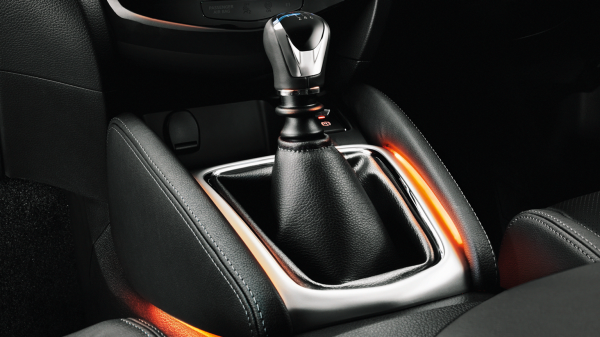 Brighten up your day or night with the ambient lighting around the centre console – luxurious indeed. 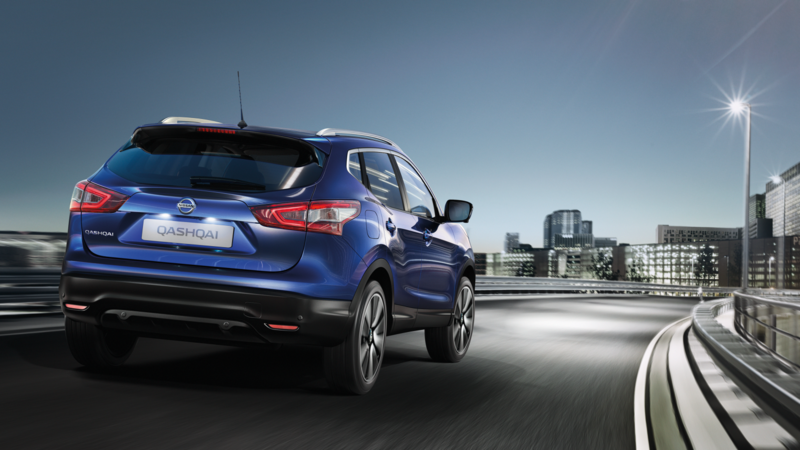 Make the Qashqai crossover your own. 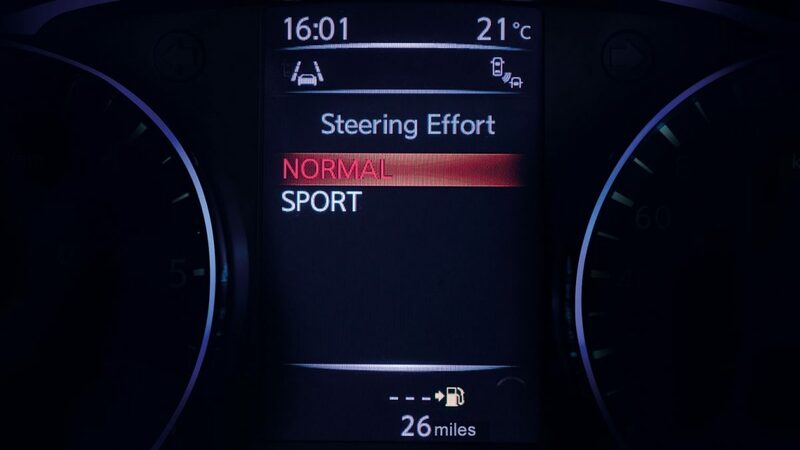 Dress up the exterior with your choice of personalisation options and stylish alloy wheels. 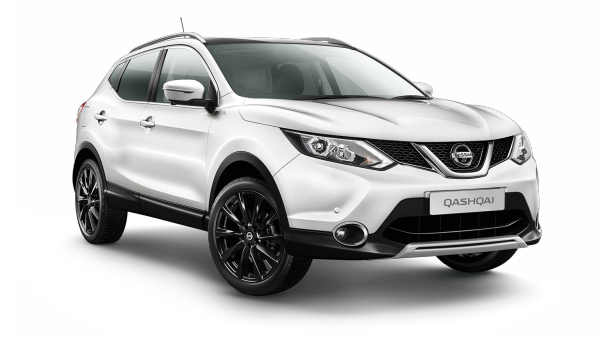 Add a touch of personal style to your Nissan Qashqai. 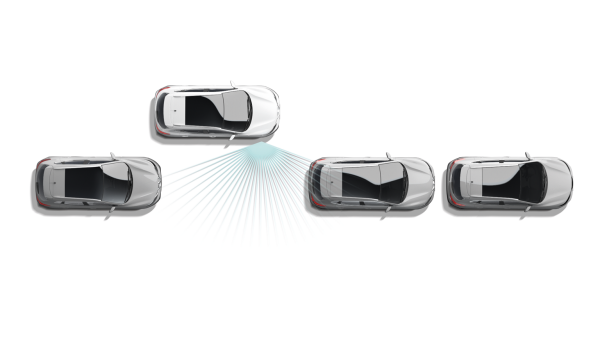 There are so many ways to customise your crossover using the range of parts available through your Nissan dealer – just choose your favourite way to say ‘mine’. 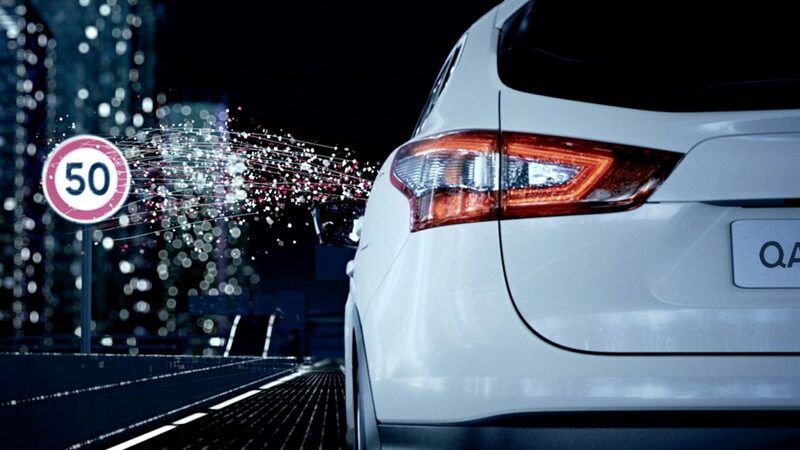 Don't just take our word for it. 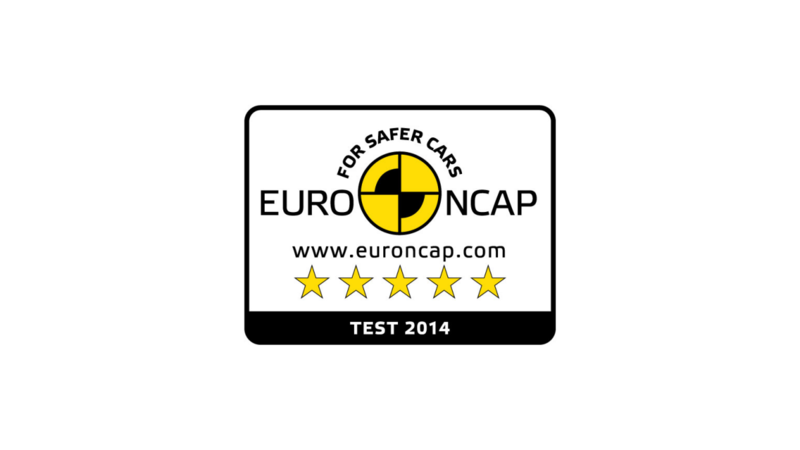 The Nissan Qashqai has received a maximum five-star rating from the independent vehicle safety organisation EuroNCAP (2014). 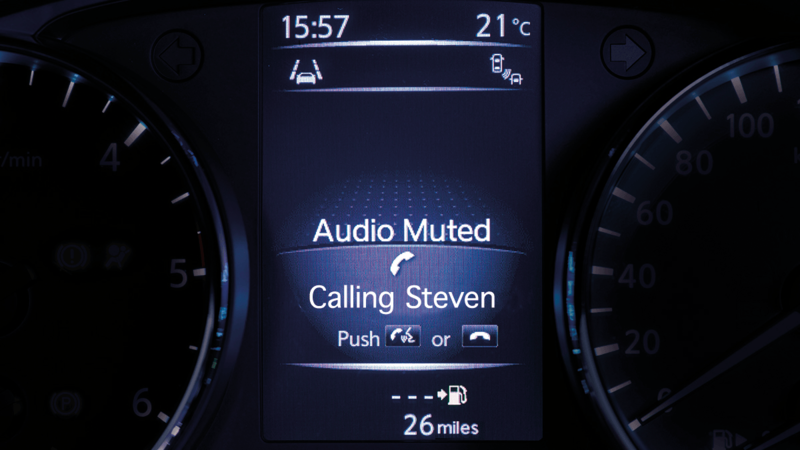 Manage your calls while keeping your eyes on the road. 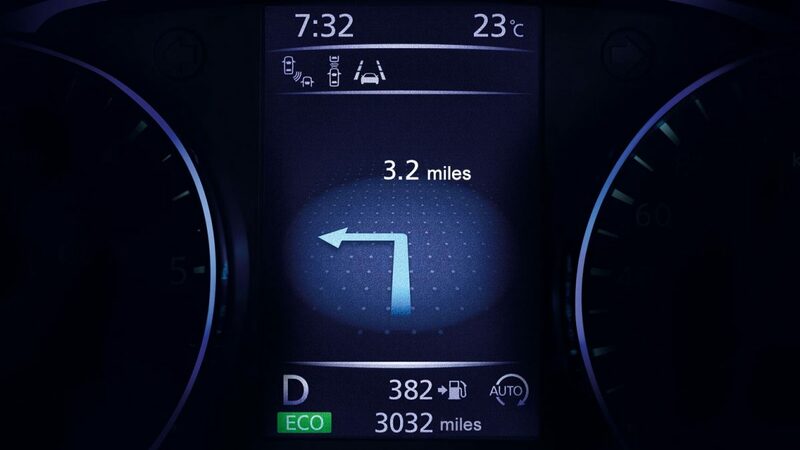 Controls on the steering wheel allow you to use your phone without your hands leaving the wheel. 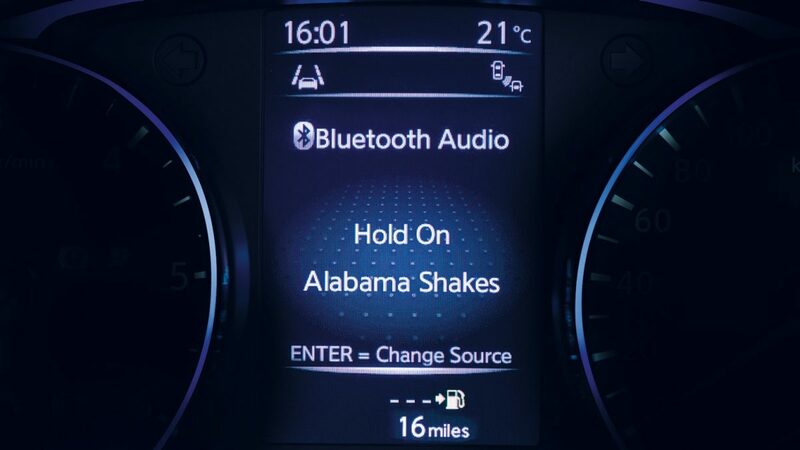 Details of the music that's playing are clearly shown on on the display, conveniently in your line of sight. 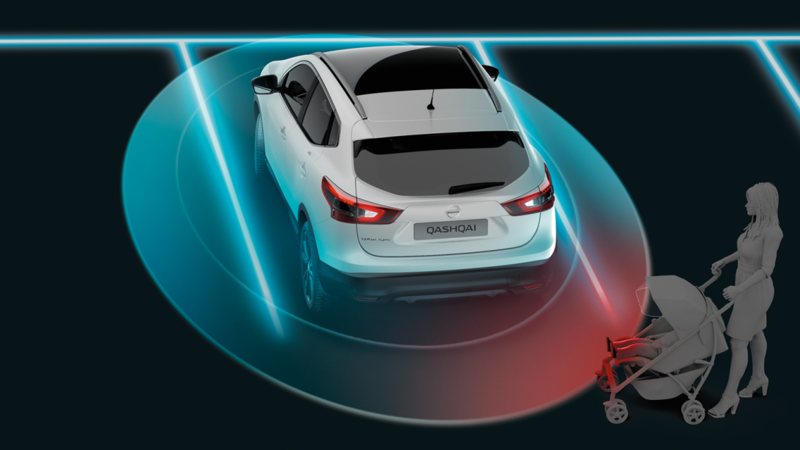 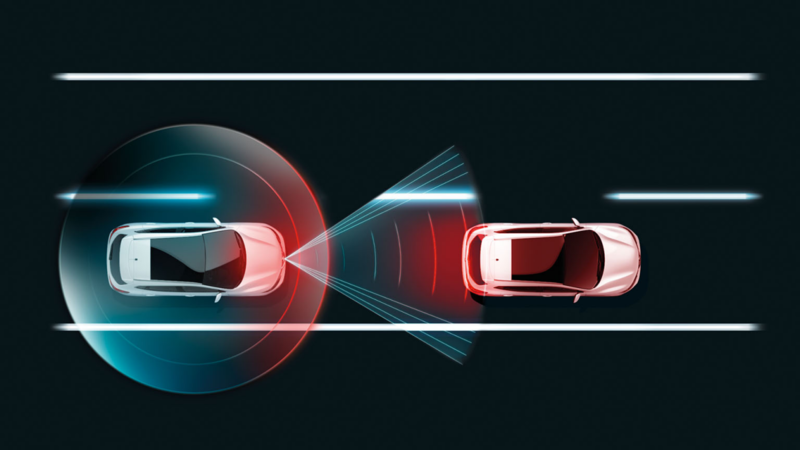 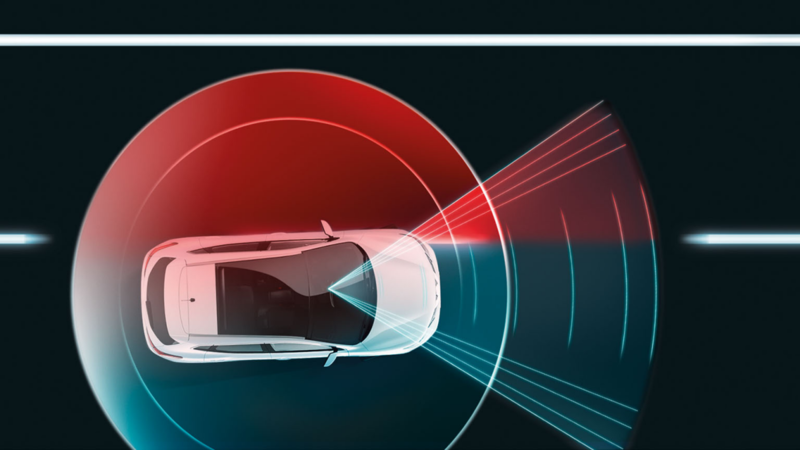 The Nissan Qashqai allows you to select your preferred steering feedback – Normal for everyday driving, and Sport when you’d like a more spirited driving feel. 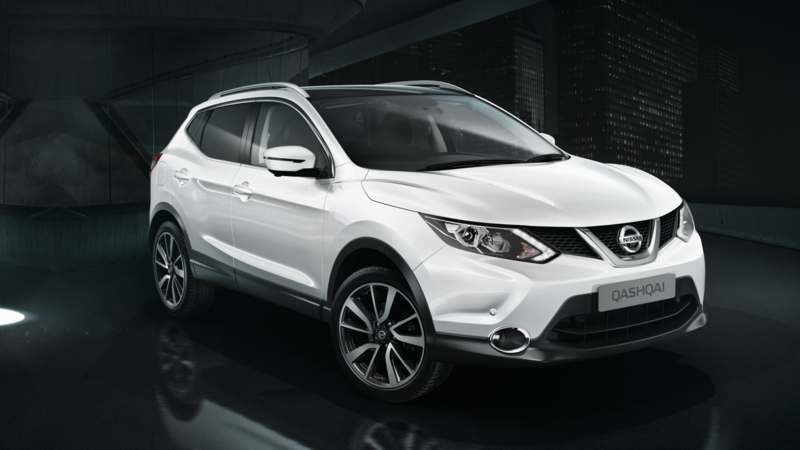 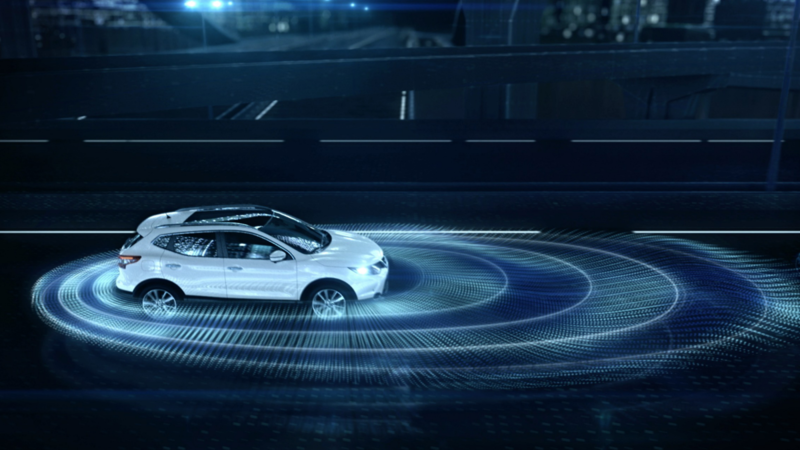 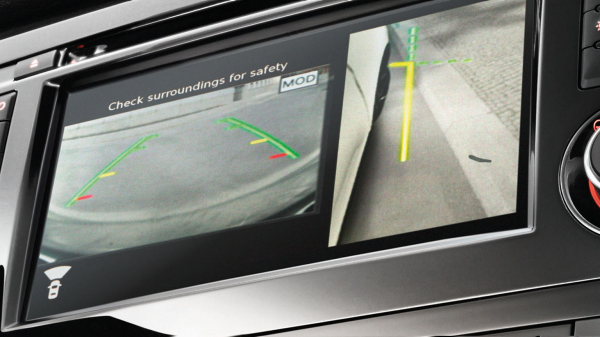 Customise your virtual Qashqai so you can see your own SUV's colour on your 5" HD screen. 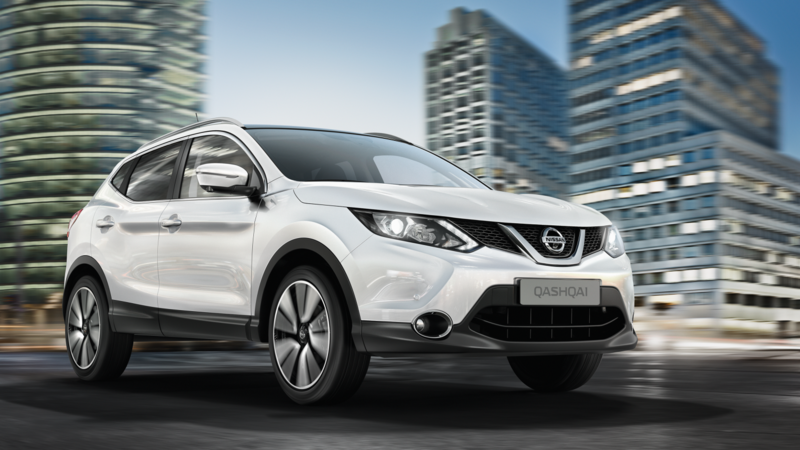 The Nissan Qashqai crossover is packed with intuitive features that will make your daily routine easier and more enjoyable. 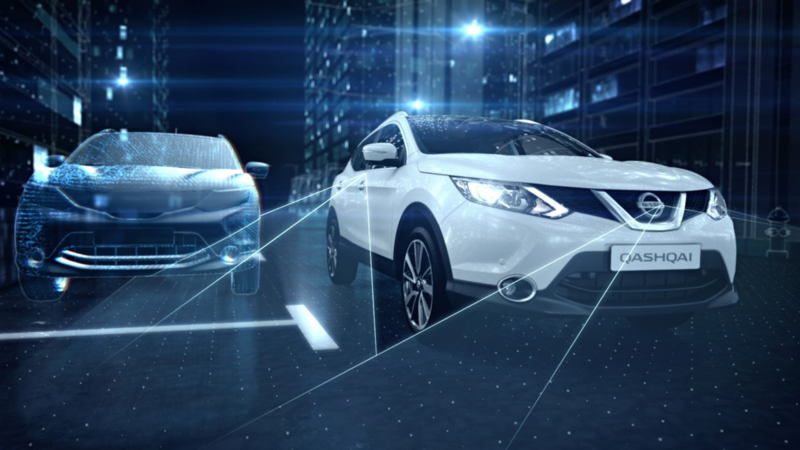 With the Nissan Intelligent Key, you can unlock your Qashqai and start the car without taking the key out of your pocket. 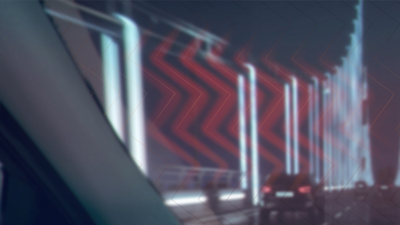 There's no need to scrape ice from the Thermaclear heated windscreen on even the coldest days. 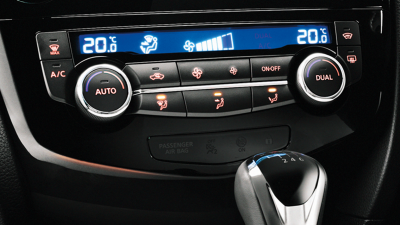 It also demists quickly, so you can keep more of the climate-controlled warm air pointed at yourself. 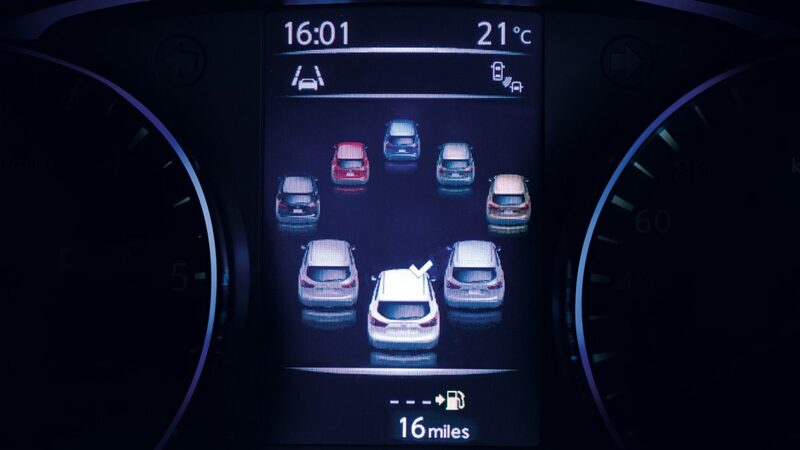 The Nissan Qashqai's dual zone climate control allows the small SUV's front occupants to set their own temperature. 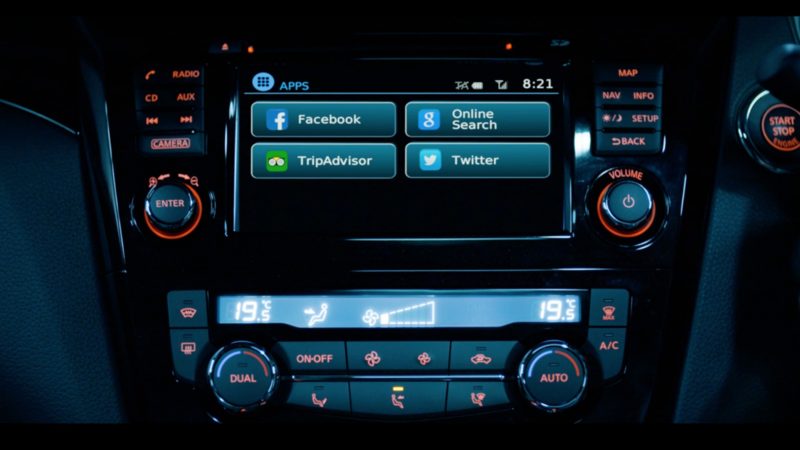 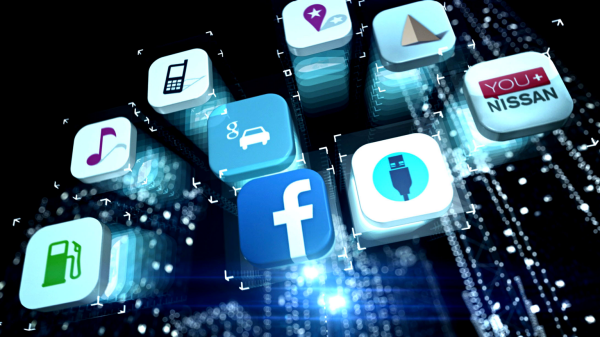 The system automatically adjusts to keep it just as you like it. 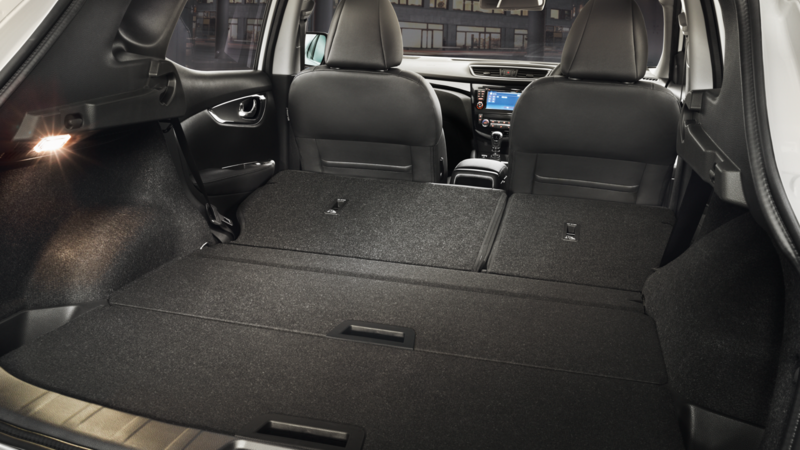 With its flexible seating and a twin-level boot floor that can be configured in a range of different positions, your Qashqai crossover has space for every situation, whether you're filling it up with everyday essentials or heading off on a big weekend away. 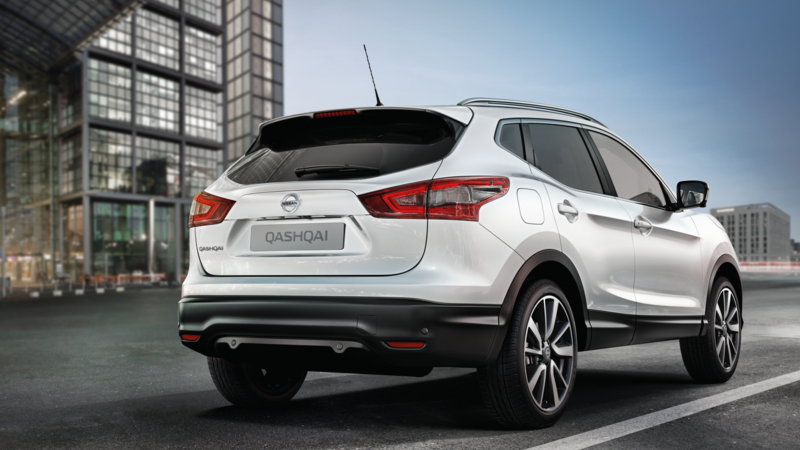 The Qashqai's flexible seating can handle whatever the day throws your way. 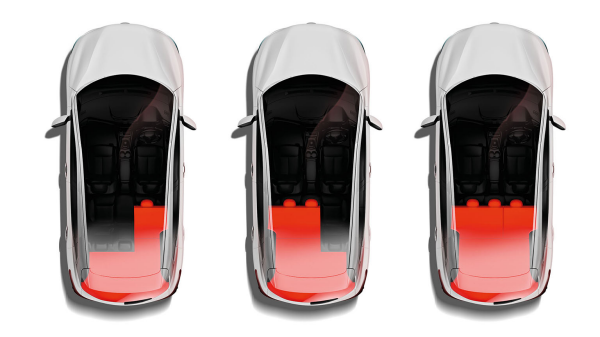 The reversible boot-floor panels adjust easily to provide 16 possible configurations. 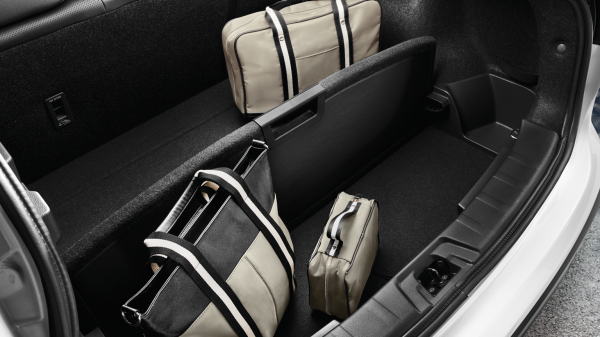 You can either maximise luggage volume or provide a fully flat floor with the seats folded down. 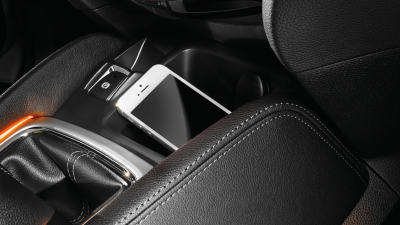 The parcel shelf can be stowed underneath so you need never leave it behind. 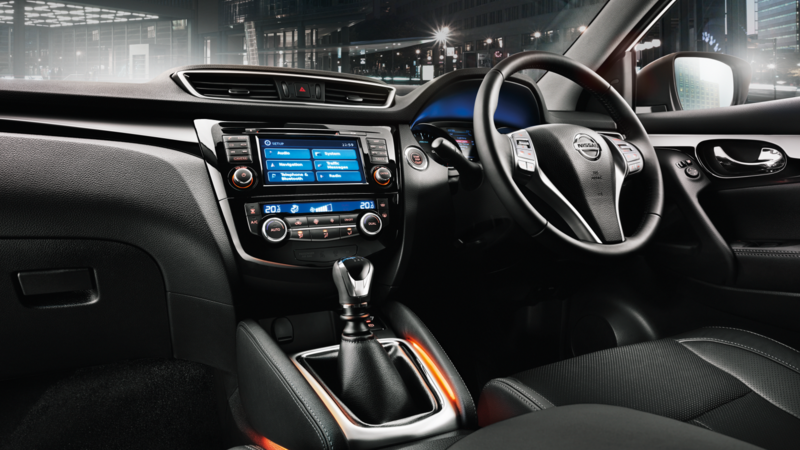 The Qashqai's centre console keeps everyday items close at hand but out of sight. 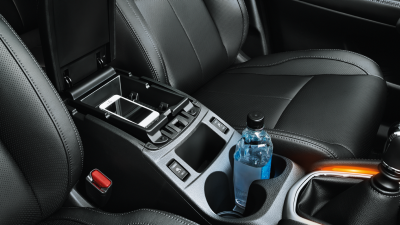 The generously-sized glovebox has enough room to keep essentials safe and secure. 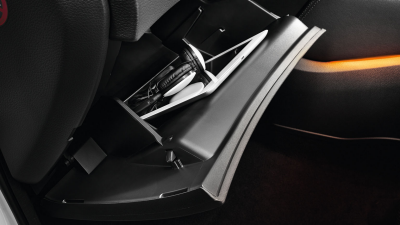 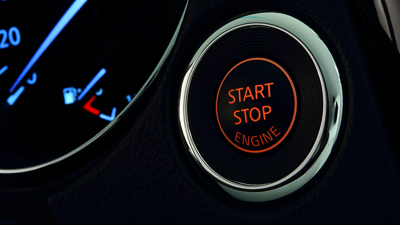 The Electronic Parking Brake does away with the need for a handbrake and frees space in the cabin for more storage.